The 2015 Kia Forte brings all the right innovation together in a surprisingly smooth bundle. Whatever reservations you had about KIA in the past kindly take those thoughts, place them in a bucket and throw them out the window. We know once you sit inside the Kia Forte you’ll understand what we mean. Let’s start with something as simple as the lights. The Kia Forte's exclusive LED positioning Lights and optional LED Taillights make the Forte stand out so much you’ll have to get used to turning heads around town. It’s Edge Approach Lighting and Door Handle Pocket Lights light up when you return to your Forte, making your car so much simpler to find in the dark. So simple, you might even take it for granted. Looking for amenities? The Forte was built for comfort. Steering-Wheel-Mounted Controls, Sunroof, Ventilated/heated Driver's Seat, and heated steering wheel will make you wonder how you ever lived without them. With UVO e-services, an accessible informational/entertainment network, it’s easy to access music, make hands free calls, and so much more. You can even take advantage of Google Maps™, and use the eservices telephone application to send directions to your auto through your smartphone. Believe us, we’ve thought out all the angles—however, should the unexpected happen, we’ve got you covered. 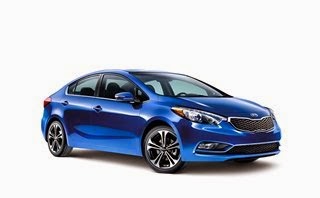 From an intricate airbag design to a strengthened body style and new technology such as like the front dynamic headrests, you and your passengers’ safety our top priority in order for the 2015 KIA Forte to truly be a complete package. Don’t believe us? That’s okay; don’t take our word for it. Take the 2015 KIA Forte for a test drive. Not only will you change your mind about KIA, but you’ll probably want one for yourself afterwards. Go ahead, we dare you. Come take a test drive at the Olympia Auto Mall. Our convenient location and knowledgeable staff are second to none. If you are looking for new or used cars in Olympia WA come to the Olympia Auto Mall.